So as a lot of you might know, this past weekend was Coachella and I would have LOVED to attend. But because I am broke, in college and working (; I wasn't able to go! But I decided to do a little bit of an inspired Coachella look! I mean, why not?! One of my favorite things about spring and summer is being able to dress in many different ways, to just play around with things I have. 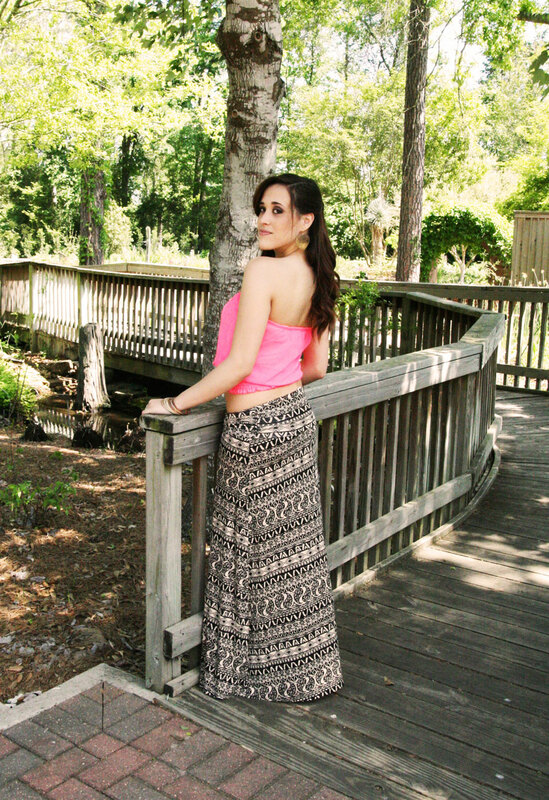 Go strapless, shorts, maxis, ect! I love it. So for todays post, I decided to take to the gardens and let my inner "Free Spirit" girl shine! Earrings: Charming Charlie of course! Do you have a favorite to wear during this season? How great! I think there are many of us wishing we were there. Your skirt is fabulous! Orange you glad its Spring? A Coral and Turquoise kind of day!